This is such a fun post to share with our art-loving readers: Famous Artist Lessons for Kids! I love art, but to be honest, I have to prepare mentally to the mess and the cleanup and all the jazz that involves an art lesson . I still do our art studies, of course, but I allocate times for them where we have enough time to clean and get our dining room table looking the way it used to before we started. And if you are like me, you will be very happy to hear that this is a mess-free art lesson! You read that right! This is an art lesson on Van Eyck , but it isn’t messy! Woohoo! Come take a look at what we learned and the art we did. I am sure you have seen our art lessons on Picasso, Mondrian and Kandinsky. If you haven’t, be sure and take a quick look. They were so much fun! This lesson is in continuation of our Great Artists studies and I think you and your children will enjoy it. Very Eyck was a unique and famous artist. He was unique in the sense that some of his paintings included triptychs. He made some huge, larger-than-life ones that wowed the masses. His art technique was amazing for that time period and his paintings of people looked realistic. I love seeing their facial expressions and the relief of the images. 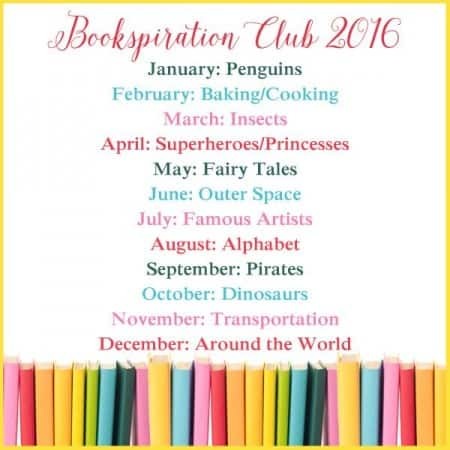 First, we read. And watched. We always begin our lessons reading and watching. I feel that books are a great introduction to who the artist was, his origins, the time period he lived in, his lifestyle and his works of art, which made him famous. 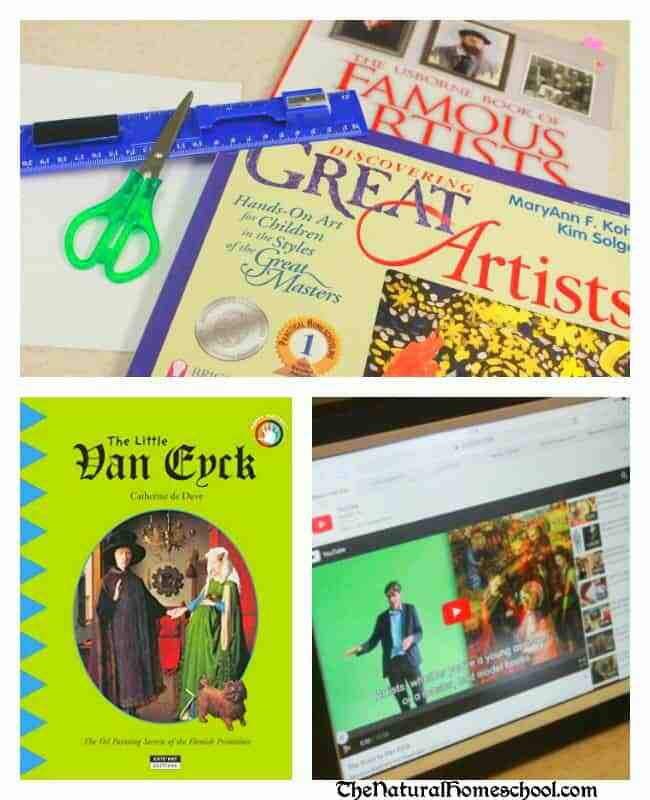 We read Discovering Great Artists , The Usborne Book of Famous Artists and The Little Van Eyck . We also loved using the Famous Artist sticker book . We also watched a couple of documentaries on his work on YouTube. Some were in Dutch, but that was ok. I helped translate and we mainly focused on the art and the technique. Others were in English and we got to hear some detailed analysis of Van Eyck’s works of art and how his triptychs were (and still are) so fascinating. Next, we made our own triptychs! “Triptych” simply means to be divided into three parts. You will see why in a minute. 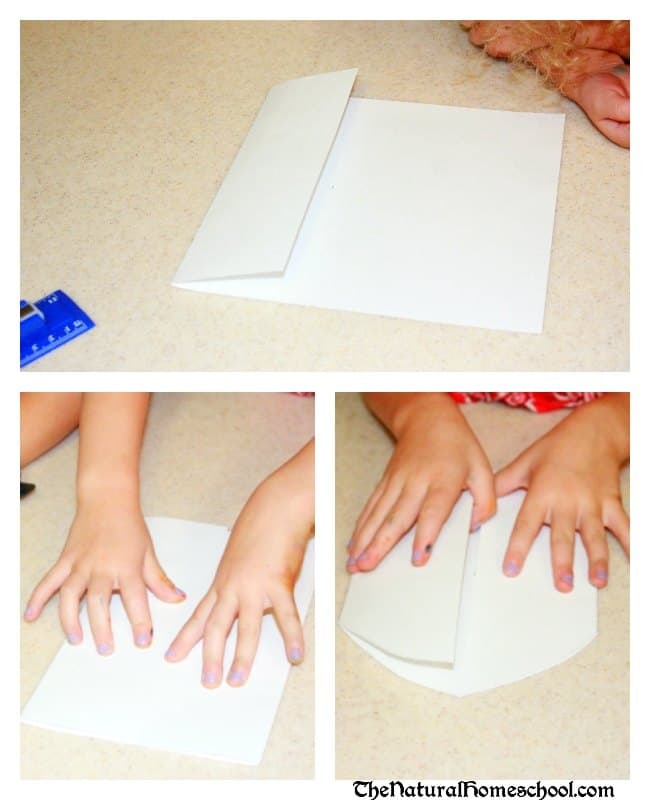 All we used were some white cardstock sheets , a ruler, pencils and erasers and a pair of scissors . Peter on, we used color pencils to color our images. To make the triptych, we set a yardstick sheet horizontally in front of us and with the ruler, we measured it and made a small mark right in the middle. Then, very carefully, we took one end of the paper and folded it to the middle mark we made and creased it. We did the same with the other end. At the end, we used our pencil to make some curved lines to go from the middle a few inches down to the crease on both sides. We used the scissors to cut the arches. See image above. Now we are ready to decorate our triptychs! Yes! Still using our pencils, we drew lines to divide our inside and outside sections into smaller areas, just like Van Eyck did his. One of my children wanted to draw random images while my other child wanted to tell a story by drawing congruent and chronological images on the triptych. Both techniques are totally fine, by the way. Let them have fun creating their pictures, drawing and telling their stories. 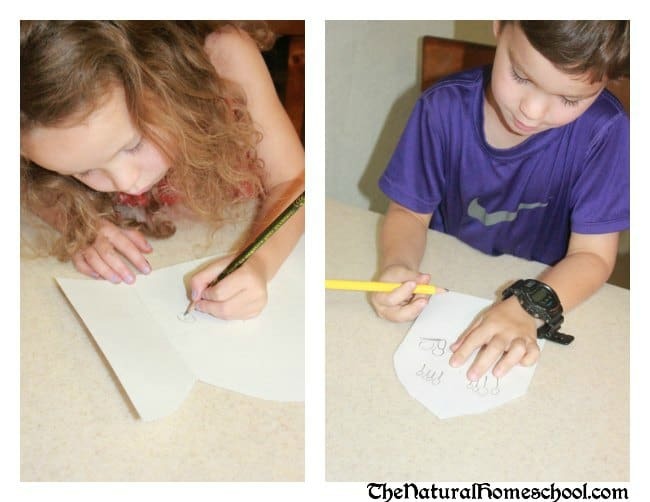 Once they are done drawing, they can use colored pencils to bring the images to life. If you are feeling extra adventurous and your images are big enough, then use pastels or paint. Proudly display their works of art when they are dry. 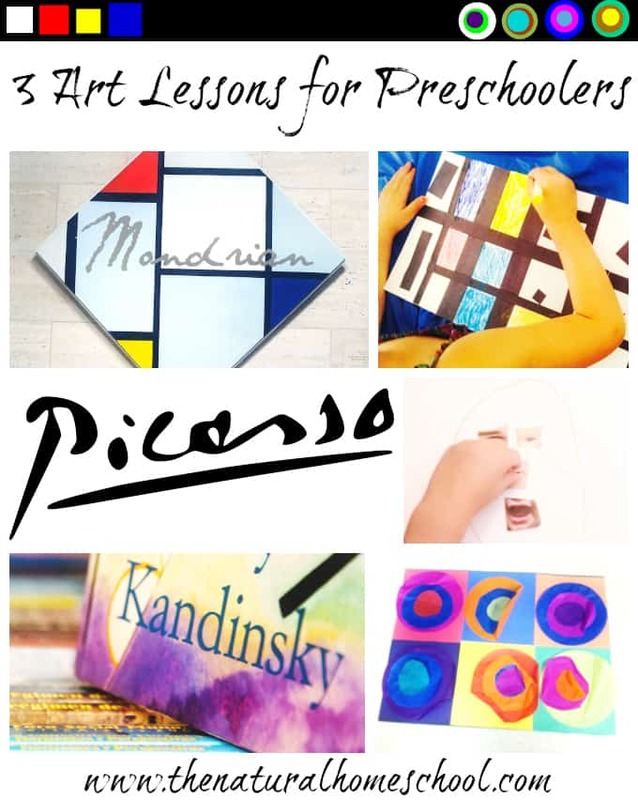 They will learn more from these famous artist lessons for kids when they make art projects using their techniques. 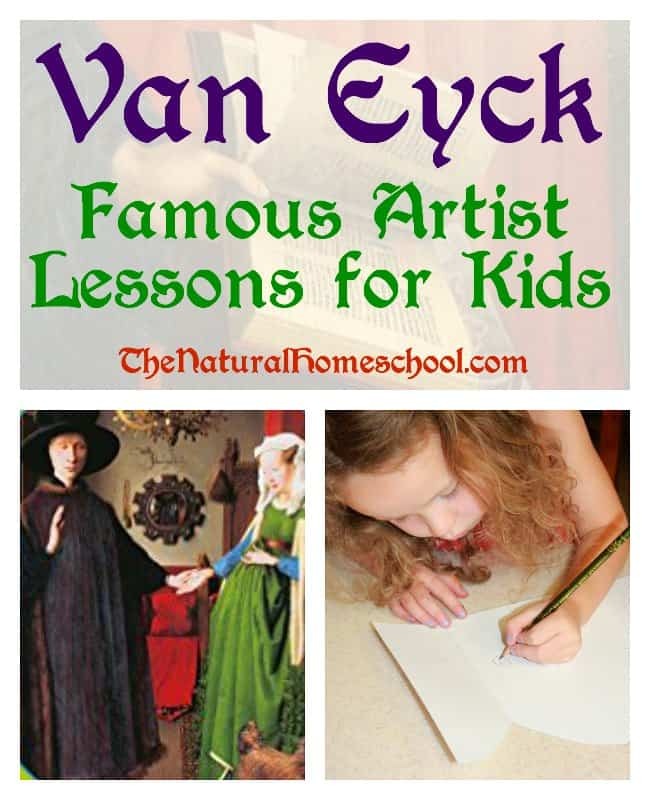 Thank you for visiting our “Van Eyck: Famous Artist Lessons for Kids” post!